Spring Training is upon us. It’s celebrated as a holiday in many a home and cheers up folks stuck in deep emotional slumps due to winter (and no baseball). It’s a time to look forward to the sweet summertime yet to come. It’s the time of year where rebirth is ever-present, in the weather and in state-of-mind. 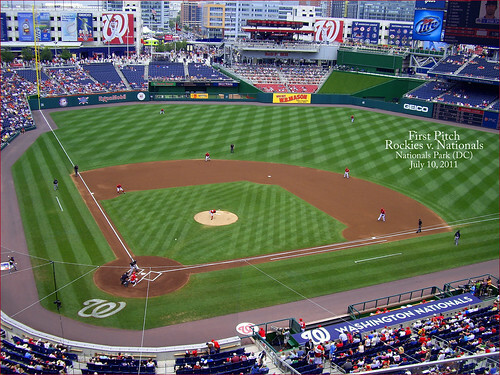 That’s why I’m looking forward to the 2013 Major League Baseball season in Washington, D.C. – home of the 2012 National League East Champions. For baseball fans, the park is the compass that we orient ourselves with; it sets the stage, its orthogonal lines and sloping curves like a map before the spectator serving as guidepost and direction. As baseball returns to Nationals Park, some things are the same, some have changed, and we’re here to get you ready for Opening Day and beyond. While much remains the same on South Capitol Street, there’ve been some changes that you should be ready for. First up is Half Street, most fans’ entrance to the park, and the home of the Metro. This winter, the western side of Half Street was revamped entirely and is now home to the Half Street Fairgrounds, which is patterned after Brooklyn’s Dekalb Market. The space that was formerly the Bullpen and Das Bullpen will be augmented by the presence of food trucks, beer stands, and places to congregate and relax ahead of, and following, each game. The industrial feel matches the construction that has languished in the area thanks to the economy’s slow recovery, and the decor includes shipping containers. One friend said of the new architecture, though, that she was taking her evening job in the other direction, and on off-days I don’t expect this place looks quite the same. We’ll have to see what the season brings. 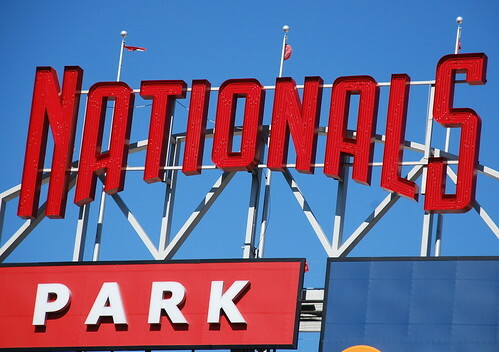 The Nationals have a couple new ticket options for fans this season. Weekends are big at Nats Park, and there are two options for weekend games to pique your interest. 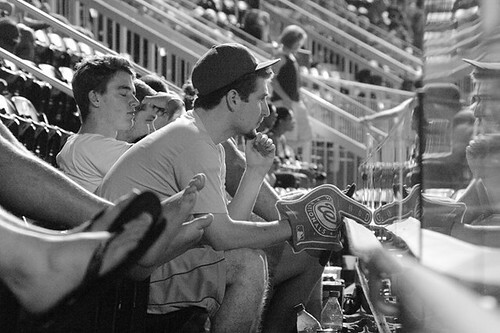 Thursday and Fridays, Burger Pack tickets get you into the Upper Outfield Gallery and Outfield Reserve sections, as well as vouchers for a burger, some fries and a soda for $20-29 depending on where you seat and who’s in town. Thursdays, Fridays and Saturdays are Miller Light Party Nights in center field, with Scoreboard Pavilion seats running $25-27, but coming with a pair of drink coupons good for a soda, a bottled water, or a beer at the Scoreboard Walk bar. Neither offer is good for games against the Yankees, but other than that the rest of the season is fair game. Friday night was never going to be easy for the Washington Nationals. A letdown of some kind had to be expected after an emphatic four-game road sweep of the New York Mets earlier this week, and the red flags waved even more frantically when Davey Johnson announced that he was giving both Michael Morse and Jayson Werth a day off. (And he meant it; Alex Cora was first off the bench to pinch-hit.) And that was before anyone bothered to check the statistics and note that Florida had had the Indian sign over Washington this season, with an 8-4 head-to-head record entering this three-game weekend series, the next-to-last of the season between these two clubs. But no one expected the Nats to go down as meekly as they did in the 3-0 loss. Javier Vazquez, a pitcher who has generally been mediocre to below-average since being traded by the Montreal Expos to the New York Yankees prior to the 2004 season (exceptional outliers in 2007 and 2009 notwithstanding), recorded his first complete game since September 25, 2009 (when his Braves defeated, yes, the Nationals), and he needed only 104 pitches to do it. True to form, there was nothing particularly special about what Vazquez was doing. He threw his fastball for strikes, got ahead in the count, and took advantage of a Nationals lineup that seemed completely uninterested in working the count. Of the 30 batters that Vazquez faced, 17 either took a first-pitch strike or swung at the first pitch. The Nationals were compliant in their own demise as well, making two foolish mistakes on the basepaths. The first came in the second inning with the score still 1-0. After Rick Ankiel had singled to center with one out, Espinosa flicked a ball into left-center field. The ball was cut off quickly by center fielder Bryan Petersen, but Ankiel was still able to advance to third. However, Espinosa either underestimated Petersen’s arm or thought it was the right time to take the double play out of the equation. Regardless of his reasoning, he was easily cut down at second base for the second out of the inning. Chris Marrero flied out to right field to end the once-promising inning. The other, less forgivable lapse came in the seventh inning, with the score 3-0 but Vazquez wobbling for the first time all night. 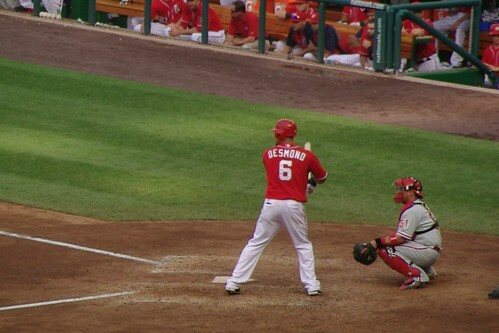 Ryan Zimmerman and Laynce Nix singled to lead off the inning before Ankiel (fooled by a curveball) and Espinosa (unable to catch up to a fastball) struck out swinging. Then, with Marrero at the plate in search of a first home run of his term with the Nats, pinch-runner Brian Bixler was picked off of first, despite the fact that second base was already occupied by the less-than-speedy Zimmerman and it was unnecessary for Bixler to take undue risks on the basepaths with the tying run at the plate. 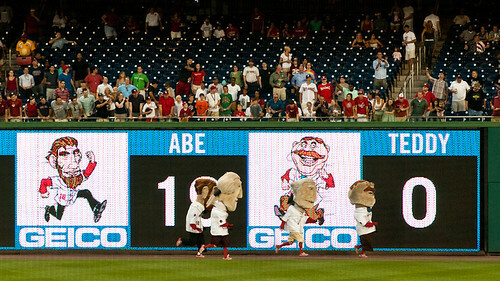 The whole sequence summed up the lazy, haphazard approach the Nats offense brought to the ballpark last night. Lannan wasn’t much better, though he managed to wring six innings and a quality start (in name only) out of his evening. He struggled to locate his fastball and changeup in the early going and gave up six of the eight hits recorded off him in the first three innings. The pitches that weren’t hit were taken outside of the strike zone, and this is what led to Florida’s first run of the game. Gaby Sanchez and Petersen worked one-out walks in the second inning and advanced to third and second on a wild pitch. Sanchez scored on John Buck’s single to center, and if Petersen hadn’t stopped between second and third base to make sure the ball would drop, he would have scored as well. As it was, Lannan got out of the inning with no further damage after Vazquez failed to get a squeeze bunt down and got Buck thrown out at second base and Emilio Bonifacio grounded into an inning-ending force play. The Marlins added their other two runs in the third inning as Omar Infante and Mike Stanton opened the inning with back-to-back doubles before Stanton came home on Sanchez’s single to center. Again, the damage could have been worse, but Petersen went too far when turning first base after his two-out single and managed to get himself thrown out 7-6-3. It was, in short, the type of game that was to be expected on a cool Friday night in September when both teams are eliminated from the playoff race (mathematically as well as realistically). If there’s anything positive to be taken from it, it’s that Saturday’s game shouldn’t be nearly as somnolent. 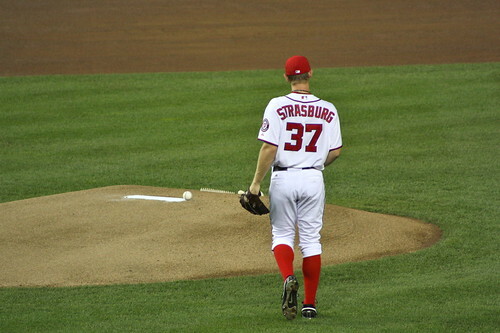 After all, Werth and Morse should be back, and some kid named Strasburg is on the mound. The Washington Nationals are last in the National League East for the first time since June 14. 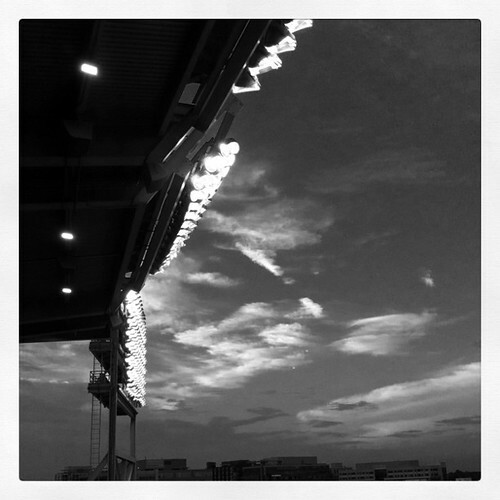 They descended to this low point after losing 11-2 to the Florida Marlins Tuesday night in front of 24,650 on a relatively pleasant night (in meteorological terms, anyway) at Nationals Park. The loss is the seventh the Nats have suffered in their ten games since the All-Star break and this particular performance should choke out whatever life was left in any hope that Washington could make a surprise run up the National League Wild Card standings. It is true that the Nationals only have the sixth-worst record in the National League and are still only four games under .500 (49-53 after Tuesday night), but if their recent run of form is any guide, the relatively fertile period of mid-June has turned out to be a mirage and the club is regressing dangerously. The tone for the evening was set by starter Jordan Zimmermann, who gave up a triple to the second batter of the game, Omar Infante. The Florida second baseman went on to score on an RBI groundout by Greg Dobbs, the first of five runs that Dobbs would drive in over the course of the evening. Zimmermann has been very, very good throughout this season for the Nationals, but he was off tonight, particularly in the first five innings. He was leaving far too many of his pitches up in the strike zone, and the Marlins treated his offerings with the contempt they deserved, banging out seven hits in the first five innings, with four going for extra bases. Even more disconcerting were the two hit batsmen on Zimmermann’s record, as many as he’d hit all season entering Tuesday night. Arguably the biggest moment in the game came with two out in the third inning, when Zimmermann hit Hanley Ramirez with an 0-1 fastball with the score already 2-0 in Florida’s favor after Zimmermann had coaxed a 4-6-3 double play out of Dobbs, with Emilio Bonifacio crossing the plate in the process. Two pitches to Logan Morrison later, the Nationals were behind 4-0 and Morrison was circling the bases after depositing his 16th home run of the season into the Nationals bullpen. In fairness to Zimmermann, he has now pitched 126.2 innings this season, by far the most in his major league career, and with his much-noted 160-inning limit fast-approaching, it would not be in the least surprising to either see more outings like this one or to see him handled much more gently and with a much shorter leash.